'A contemporary pronoun for a technological age' We are all trying to keep an open mind with a can-do sensibility amidst social upheavel, victorian poverty and dystopian prophecies of robots stealing our jobs. Through likening ourselves to machines, switching into autopilot or 'rebooting', one can implement a survival mechanism that manifests instead of being at the mercy of our primitive human emotions that often slow us down. 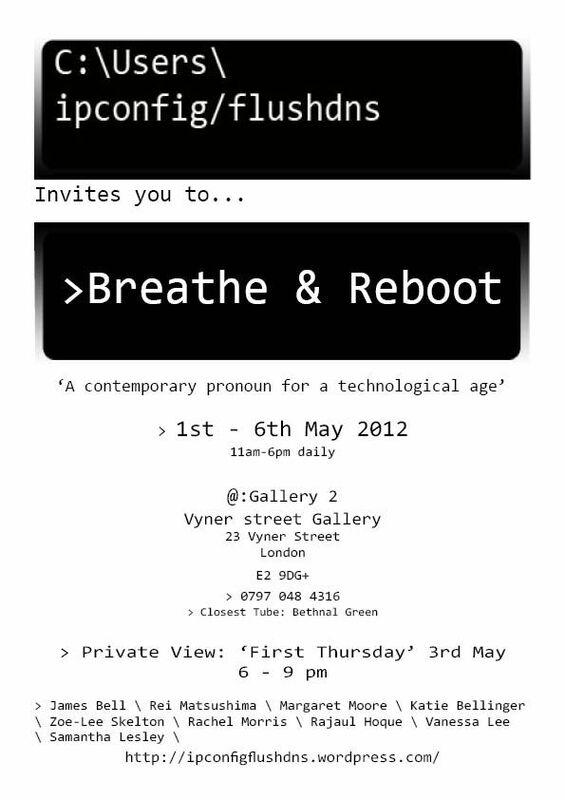 'Breathe & Reboot' is a collective arrangement of our coping strategies during this transient period.